Game setup upgrade mechanism, and weapon mechanism. The latest release of the PC version VR version of the new version, in the PC version using HTC Vive, the system automatically detects and converted to VR version. The game now has 10 levels, a variety of different terrain let everyone experience. 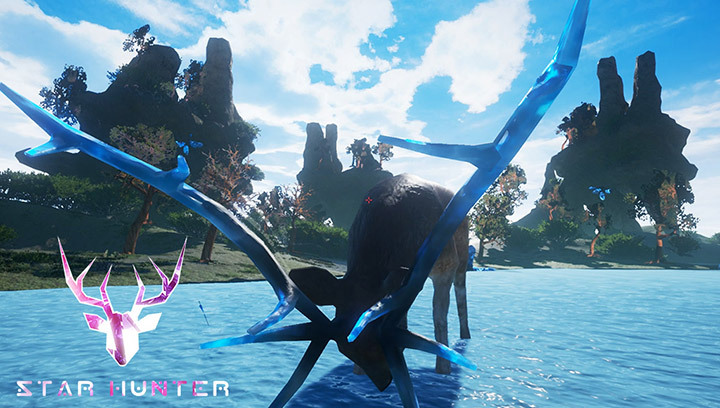 Star Hunter VR is an Science Fiction hunting game, Experience fast paced hunting action in Science Fiction World. Explore of varied terrain, ranging from dense forests to lush valleys and Terror Valley or Desert. Star Hunter VR game offers the most immersive hunting experience ever created . Take on missions and challenges from the world, enjoy each one filled with surprises and memorable moments. • Dangerous animal and monster encounters. • Explore a Science Fiction World. • Optional Virtual Reality support. Enjoy the game in Htc Vive VR! • As you progress through the levels, the difficulty of increasing. • More than 2 hours of play time, Endings for 10 Levels, before initiation New Game Plus cycles.